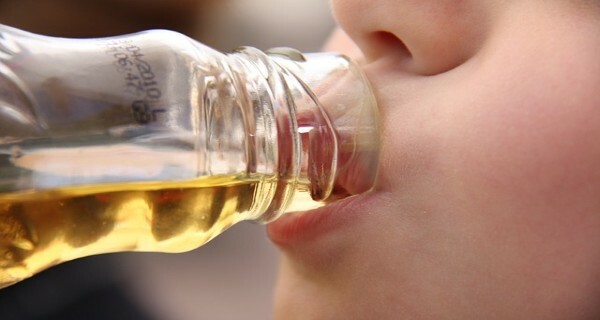 Do Not Let Your Child Drink Juice! According to statistics, at least half of the population over the age of 2 in the United States consumes sugary drinks daily. This doesn’t not include sugary drinks such as flavored milk, sweetened teas, or 100% fruit juices. If those were considered, the statistic would likely surge dramatically. People are mistaken when they think they are drinking fruit juice that it’s healthy though it’s sweet. However, it actually is contributing to fatty liver disease, weight gain and obesity, hypertension and type 2 diabetes in the United States and other countries around the globe. You actually aren’t doing your body a bit of good by trading soda for fruit juice and sometimes those fruit drinks are actually worse than soda for your health. Note that beverage companies are targeting kids and are using marketing drinks to do so. It is unbelievable what lengths these companies will go to in order to promote their drinks and try to get kids and young adults hooked. Now that you are aware of this, you can eliminate high fructose drinks from your diet and definitely choose water as your beverage of choice. Try to not consume any more than 25 grams per day of fructose including 15 grams a day at most from fresh fruit (not juice). If you have heart disease, cancer, diabetes, or re overweight, it’s better to cut fructose (including fruit) down to 10-15 grams a day. Of course it can be difficult to eliminate sugar and fructose from the diet. Sugar has been noted to be as addictive a caffeine. However, there are ways to follow a healthier diet but still get a sweet fix. Next post: What Happens to Water When We Reboil It? Previous post: Combination Of Baking Soda And Lemon That Saves Lives!